When actor Henry Cavill decided to grow a mustache for his character in Paramount's Mission: Impossible - Fallout, few could have predicted the wide ranging ramifications. But when the facial hair conflicted with reshoots for Warner Brothers' Justice League, the infamous "Mustache-Gate" scandal was born. 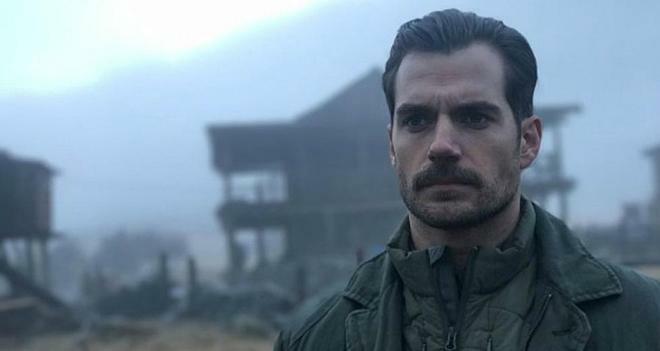 Essentially, production would not allow Cavill to shave his impressive stache while shooting remained active for Mission: Impossible. And since he had to reshoot several scenes as Superman for Justice League at the same time, Warner Bros. was put in a tricky situation -- one that resulted in some hilariously bad and quite costly CGI in order to digitally erase the actor's mustache. But now that Mission: Impossible - Fallout has hit theaters, director Christopher McQuarrie is clarifying his part in the Mustache-Gate fiasco. As reported by The Playlist and CBM, McQuarrie recently sat down for an episode of The Empire Film Podcast where he elaborated on the details surrounding the conflict. According to the director, when Justice League producer Charles Roven approached him about the mustache dilemma, McQuarrie tried to help Warner Bros. out the best he could without putting his own movie in jeopardy. He spoke to Mission: Impossible - Fallout producer Jake Myers about the issue and the team calculated that if Cavill were to shave his mustache to play Superman, it would cost their production about $3 million to digitally fill-in the actor's missing facial hair in order to match the rest of the footage already shot. With that in mind, McQuarrie proposed that Warner Bros. simply pay them the $3 million, and in turn they would allow Cavill to shave his mustache for the Justice League reshoots and then actually shut down production for Mission: Impossible until he grew it back. But while that seemed like a pretty solid compromise to avoid any laughable CGI in either film, when Paramount heard about the idea they quickly shot it down, forcing Warner Bros. to deal with Cavill's facial hair through some utterly ridiculous effects work -- proving that while Kryptonite might be deadly, Superman's greatest weakness is really just an unruly mustache. "When the question came – the reshoots for Justice League came out – [Charles] Roven called me, and he said, ‘We need your help and we need to shave Henry [Cavill]’s mustache. We need him to come back and we need to do these reshoots.’ And I said, ‘Look, Chuck, naturally I want to do everything I can to help you, but I also have to think about our production. Let me talk to everybody and figure out what the scheduling would be.’ And I went and spoke to Jake Myers, and the suggestion was made through channels that we shave the mustache and Henry could begin to grow the mustache back and that then there would be – they would give us the resources to digitally fill in Henry’s mustache. Because like it or not, a fake mustache in close-up on a 75mm lens is never going to look like anything but a fake mustache. So, we offered the following compromise: Jake Myers calculated the amount of money that it would take to replace the number of shots, and essentially what Jake was able to project was about a $3 million visual effects budget. 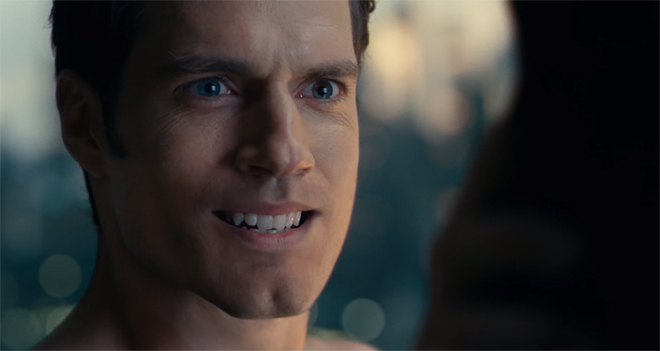 So, I don’t know how much Henry was in Justice League, I’ve never seen the movie, but I can tell you how much it would’ve cost for Mission: Impossible to digitally add Henry Cavill’s mustache, and we said yes. We said, here’s what we’ll do: give us the $3 million and we’ll shut down, and that will give Henry Cavill the time to grow his mustache back, and we’ll just shut our movie down. …We said we’ll do this, at which point, somebody from Paramount Pictures said, ‘What is going on? What are you people even talking about?’ They’re like, ‘There’s no way we’re going to do that.’ We were just like, ‘Okay.’ That was the best plan that we could come up with."